Why is Haruhi Suzumiya considered shonen ? There are some serious and hard to interpret dialogs in the series. Or is it considered a shonen with some seinen mixed anime ? The terms "shounen" and "seinen" are assigned to a work for many reasons, none of them really having to do with how intellectual or difficult the work is. The most common criteria are the age group and gender that a work is aimed at and the magazine in which a work is published (for manga and light novels), but the definitions for these terms are fuzzy rather than precise. According to Wikipedia, the age range for shounen works is between 10 and 42 years old, although the largest portion of the audience is between 10 and 18. Even 10–18 is a pretty wide range, and the interests and abilities of boys between 10 and 18 are not at all uniform. As a personal anecdote, I first watched the Haruhi Suzumiya series when I was 18 and had no trouble following the conversations; I expect there are lots of eighteen-year-olds capable of following the series. On the other hand, the ten-year-olds would probably be more comfortable with something simpler, like One Piece. But then, there might also be some ten-year-olds who would enjoy the series; I first watched Eva, an extremely difficult series, when I was eleven, and although a lot of it went over my head, I still got something out of it. (Fifteen years of loving anime, among other things.) Given that variability, there's basically no way you can expect to neatly categorize works according to what age group and gender they're aimed at. You'll always end up with works too smart for some of the audience, works too dumb for others, and works that a lot of people don't quite get, even though they still enjoy them for other reasons. (People who watch Eva just for the shipping, who bug Hideaki Anno to no end.) In many cases, the designation of "shounen" or "seinen" is somewhat arbitrary, often made for business reasons like what magazine a manga runs in or what time an anime broadcasts. And if we look at the content of the works themselves, things become even less clear-cut. Typically, we think of shounen as including works like Naruto, One Piece, and Dragon Ball. But Love Hina, Attack on Titan, and even Aria are also considered shounen. (Aria ran in Comic Blade, which is considered a shounen magazine.) Those three series have about as little resemblance to Naruto and Dragon Ball as Haruhi does. Wikipedia lists Maison Ikkoku as a representative seinen work, but Love Hina, which was heavily influenced by Maison Ikkoku, is shounen. (I even remember Love Hina being racier than Maison Ikkoku, though it's been a long time since I read Maison Ikkoku.) Granted, Akira, Berserk, Battle Royale, and Ghost in the Shell are definitely more mature than Naruto and One Piece, both in their themes and in their depiction of graphic violence. But so is Attack on Titan, and so is Eva, whose manga version ran in Shounen Ace. Shueisha found Attack on Titan a little too dark for Shounen Jump, but Shounen Magazine, which also carried Love Hina, consented to publish it. (Source). The cases of Attack on Titan and Maison Ikkoku show us how fuzzy the border is between shounen and seinen. It's more a matter of what one editor thinks of the work, and what's best for business, than any hard and fast rules. In short, Haruhi is considered shounen because the editing department at Kadokawa Shoten thought it would appeal mostly to males between the ages of 10 and 18. They were making a judgment call, filtering out all sorts of conflicting information about the differences between ten- and eighteen-year-olds in general, the variation among individual ten- and eighteen-year-olds, and how similar it was to other works classified as shounen. Not the answer you're looking for? 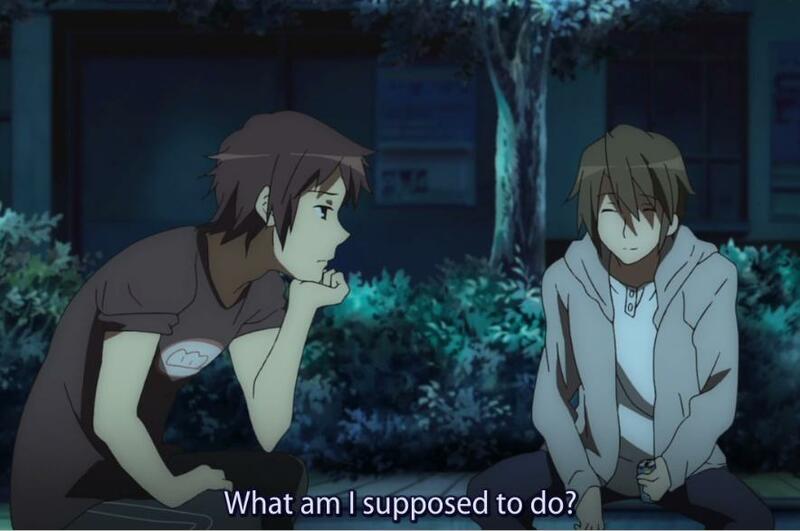 Browse other questions tagged anime-production manga-production haruhi-suzumiya or ask your own question.